Measure your progress in drainages rather than miles as you contour along this section of the Tonto Trail. 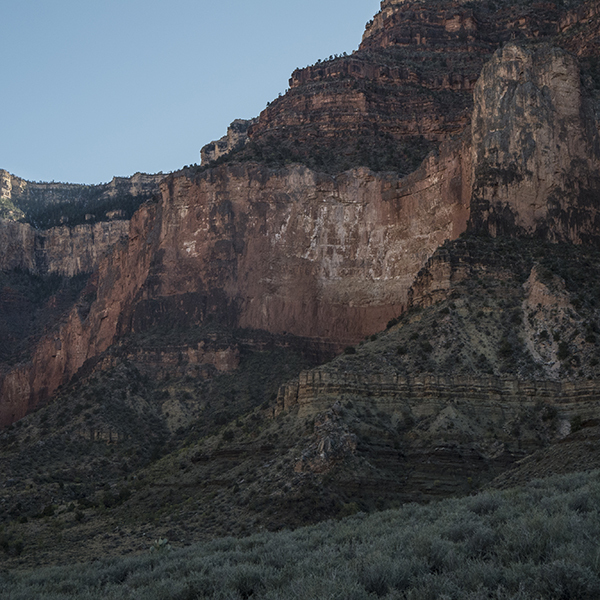 Most trails in the Grand Canyon are rim-to-river routes, plummeting a vertical mile into the depths of geologic time. But the Tonto Trail is one of the few that traverses the canyon lengthwise, snaking in and out of drainages for 95 miles on a mostly level bench called the Tonto Platform. This 26-mile section of the Tonto Trail is bookended by Grandview Trail to the east and Bright Angel Trail to the west. This is a recommended backpack trip, with plenty of good campsites in side drainages along the way. Be sure to ask the Backcountry Office for the most recent water source reports before starting your hike — springs are few and far between and may be dry in hot weather. Starting from the Grandview Trail on the South Rim, you drop down to Horseshoe Mesa. From there you can hike the Tonto Trail in either direction, but the following describes the route starting from Horseshoe Mesa (via the Grandview Trail) westward to the Bright Angel Trail. A wooden sign south of the historic stone structure on Horseshoe Mesa marks the junction—head west towards Cottonwood Creek, quickly dropping off the western arm of the “horseshoe." The route follows a steep gully through the Redwall Limestone and descends a talus shale slope to the bed of Cottonwood Creek. Continue downstream, passing several campsites tucked between tall cottonwood trees until you reach a junction at 1.7 miles. Stay left, contouring west around the head of the drainage and back along the Tonto Platform. Back on the main trail, you parallel the Colorado high above it for about a mile until you reach the next drainage to the west—Grapevine Creek. As the raven flies, it’s only 0.6 mile across the mouth of Grapevine Creek, but the Tonto Trail takes a long, circuitous route around the drainage instead. The trail stays high on the bench for 2.5 miles, passing several small springs before dropping down into the east arm of Grapevine Creek. You’ll find some flat areas to pitch a tent, along with a possible trickle of water (check backcountry reports). A large cairn marks the trail up and out of the streambed; continue around the west arm of Grapevine Creek, then climb back up to the bench. In all, it’s 5 miles and several hours to hike what a raven would soar across in minutes. In a way, mileage becomes irrelevant on the Tonto Trail. Instead, you gauge your progress by drainages, ticking off one after another as you hike in and out of each tributary. Because of the size of the tributaries, westward progress is slow, so just go with the rhythm of the trail. The pattern continues as you contour along the bench, studded with prickly pear and blackbrush like a Zen garden, weaving in and out of small gullies until you reach another major drainage. The trail cuts in to Boulder Creek, which is surrounded by a beautiful Redwall amphitheater that spans between Lyell and Newton buttes. From Boulder Creek, the trail cuts across a flat bench and bends around several fingers extending down from Newton Butte. Around 14.5 miles, the trail cuts south into the Lone Tree drainage. You might find a trickle of water where the Tonto Trail crosses the creekbed, but the park service says to walk downstream a half hour to find the most reliable source. Turning your back on Lone Tree Creek, the trail contours along the Tonto Platform. Limestone boulders dot the bench as you make a broad curve into the Cremation Creek drainage, which is named for its scorching temperatures and parched creekbed. While there are a few campsites, know that Cremation Creek is completely dry, with no access to the Colorado River. The trail again swings in and out of Cremation’s three forks. From the middle branch, pick your way up a route marked with too many cairns to the top of a bench. It’s a steep scramble, but staying close to the cliff walls on your left will save some frustration. After cresting the hill, the trail drops down the other side into the third branch—another loose, steep route. 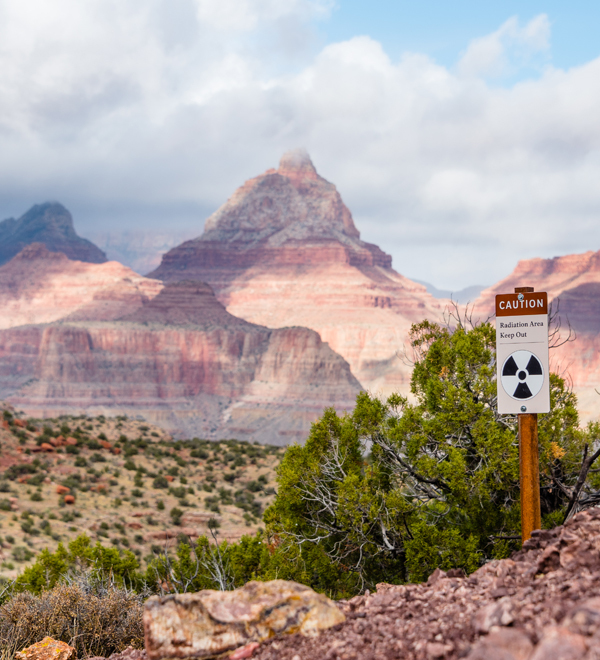 After crossing the last of Cremation’s creekbeds, you enter a no-camping area (day use only) that starts at the signs and stretches west to Bright Angel Trail. Leaving Cremation Creek, the Tonto Trail climbs steeply for about 2 miles up to the Tipoff, the junction of the Tonto and South Kaibab trails. You’ll likely see other hikers snacking at the rest area, as the South Kaibab Trail is one of the park’s most popular rim-to-river corridors. Pit toilets and an emergency phone are available here, but there is no water. Continuing on the Tonto, it’s another four and a half miles to the Bright Angel Trail. The trail descends gradually as you contour along the slopes to the Pipe Creek drainage. You pass Burro Springs—a muddy stretch lined with bright cottonwood trees—and arrive at Pipe Creek shortly after. This perennial water source is one of the most reliable on this entire stretch of the Tonto Trail, though it still requires treatment before drinking. When you finally leave the shady alcove, the Tonto Trail undulates across the west arm of Pipe Creek (dry). Continue west a few more miles, until the trail swings south and intersects the Bright Angel Trail at Indian Garden, a developed campground with year-round reliable water. The Tonto Trail continues west here, while the Bright Angel Trail leads back up to the South Rim or down to the Colorado. Since the Tonto Trail starts 3,000 feet below the rim, driving to the start of the trail is not an option. You must get there by foot. See the Grandview and Bright Angel trail descriptions for access information to this section of the Tonto Trail.